CIA Director David Petraeus dramatically resigned and stepped down from his coveted post Saturday 10 November today after allegedly having an affair with his biographer, it has been claimed. 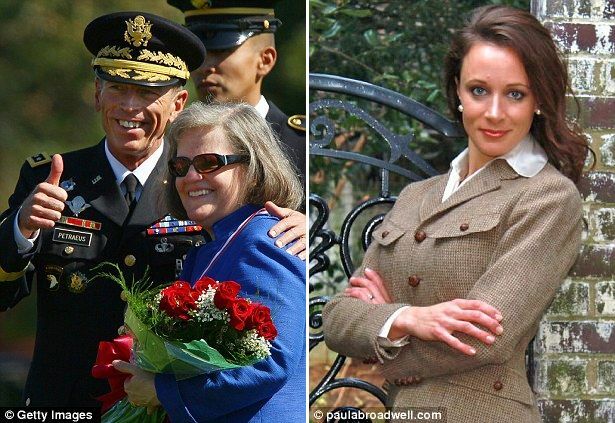 The alleged affair was uncovered after the FBI launched an investigation into the biographer, Paula Broadwell, for allegedly hacking into the former general's email, NBC News and Slate reported. Broadwell, who researched the book 'All In' for three years, had extensive access to Petraeus in Afghanistan. Yet sources told NBC it is unlikely she will face criminal charges after the alleged hacking, stressing that Petraeus himself is under no investigation. Petraeus stepped down today after confessing to cheating on his wife of 37 years, Holly - behaviour he explained was 'unacceptable' for a senior administration official.